The Hembree Village project was presented to the Town of Windsor as a potential development option for a 17.7 acre site. 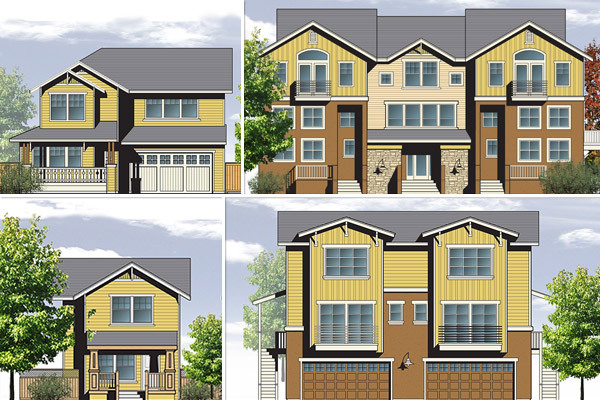 The 200-unit project featured 50 units of affordable apartments and 150 for-sale homes designed in a variety of types. These home types included traditional detached homes with street facing garages and rear alley garages. Duet homes with two floors over the garage and attached townhomes with rear alley garage access were also spread throughout the site. A landscaped common green was at the center of the project and a loop perimeter road provided the majority of the vehicular circulation. The project site contained over 2 acres of open space. Located across the street from a major retail center, it was hoped that the project would encourage residential pedestrian access to shopping in eastern Windsor.